Looking for something to do with your significant other, family, friends, or pet? 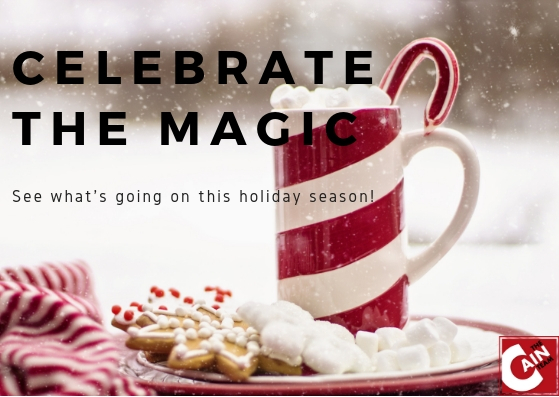 The holidays are officially here which means you are most likely in the party spirit, or looking for some holiday spirits... Lucky for you, we have created a calendar with all the fun events going on in the Austin area until the end of the year! Our list includes some of the locals favorite’s like, Zilker Trail of Lights, Ballet Austin’s The Nutcracker, and Zach’s Theatre Santaland Diaries. We also wanted to include a list of events and occasions that are absolutely free! We understand that for most the holidays can put a stress on your finances; fortunately for you, Austin provides free entertainment all month long. Local Trail of Lights, light shows, and santa visits are all available for FREE! Not sure what is going on near you? Check out the links below for all the FREE events coming up in Austin!!! Want information on ALL events this month? Schedule breakfast with Santa in the Hill Country, ice skate at Circuit of the Americas, or get lost in the sights and sounds in San Marcos! If any or all of these events pique your interest, take a look at our calendar of Austin events and plan a fun and eventful holiday season!